What is Granular Restore and How to Use it for Hyper-V Guest Recovery? 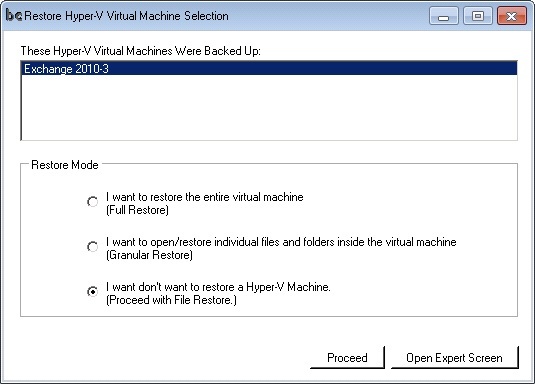 Note: This page uses Hyper-V as an example; however, Granular Restore works for VMware and VirtualBox as well. 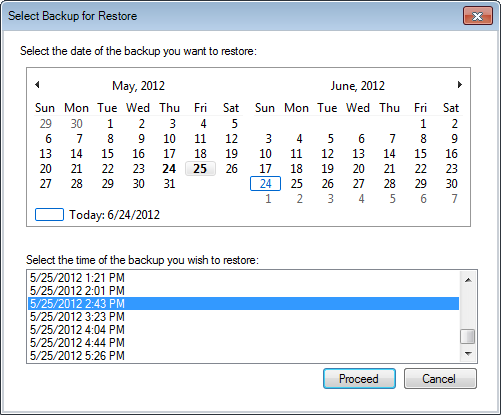 Granular Restore is a recovery module being used after a backup for a Hyper-V server has been completed. In contrast to full virtual machine recoveries, this operation allows prompt access to backed up files that reside inside virtual disk. 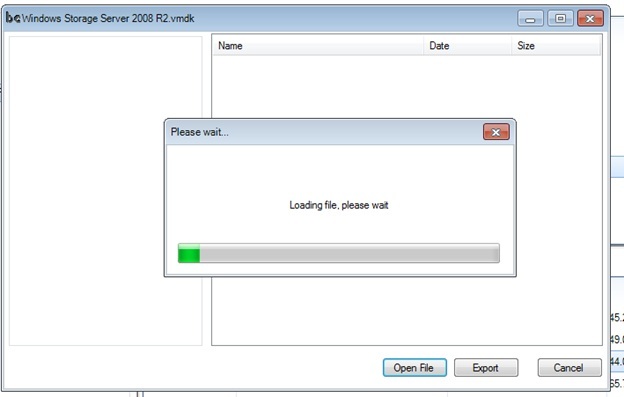 Granular Restore is used to open files from inside VHDX, VHD, VMDK, or VDI backup files. For instance, you may have differential backups of your virtual machines and want to recover a single file. Instead of restoring 2 TB worth of virtual disk information for hours you open the granular restore screen and select the file. Within a minute you already have the file extracted. You can now either double click to directly open files, or use the export button to save files or entire folders to your local disk.